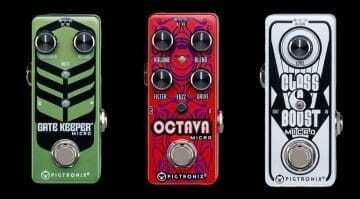 Mooer’s Micro Drummer: Big beats in a petite pedal? Smaller than Phil Collins and it won't steal your pint! 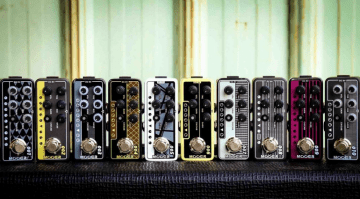 Mooer talked about its upcoming Micro Drummer pedal back in January at the NAMM show, and even had a mock-up pedal casing on view. Now it is about to be released. Not only is it smaller than Phil Collins, all you have to do to get it working is give it a kick! 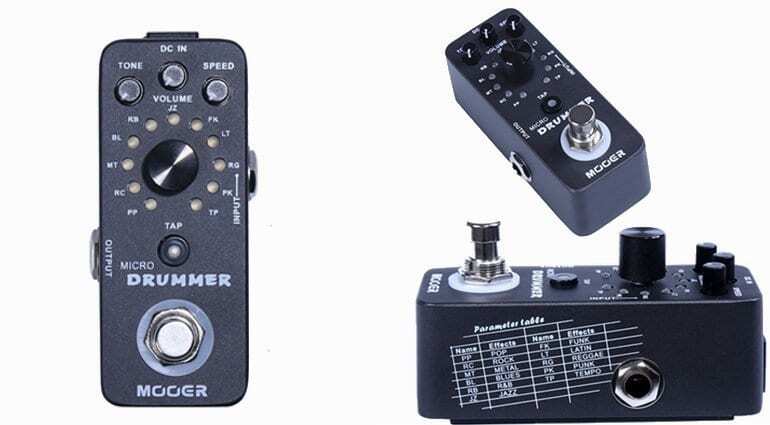 Mooer have a range of tiny pedals already available, so the introduction of the Micro Drummer pedal is a welcome one and it seems it can cover a lot of bases. 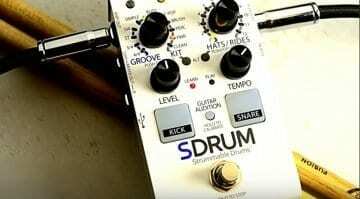 It has 11 different modes, including pop, rock, metal, blues, R’n’B, jazz, funk, Latin, reggae, punk and tempo (a simple metronome). Each mode has 11 different patterns. Three controls are available for instant tweaking: Volume, Speed, Tone. Unfortunately, there is no BPM display for speed. You can also tap in the tempo with the footswitch, making it easy to use live. Activate the Tap Tempo mode by pressing the footswitch down for 1 second. The Micro Drummer runs off the usual 9V external power supply (not supplied), as it is far too small to fit a battery into. 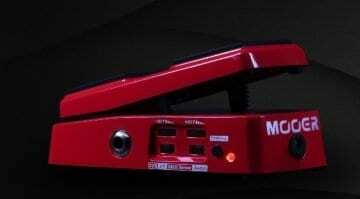 It should fit easily onto a small pedal board, though. Unlike a real drummer it won’t steal your pint, so it’s worth it just for that! The idea is simple and the whole pedal looks well thought out. I hate playing with just a metronome when practising at home, and this could be a neat practise tool for someone like me. Of course, a lot of the appeal will be down to the sounds and patterns, so we will have to wait and see if it actually sounds any good!